The main 3-D ship design software used by ICE is AVEVA Marine – with 250 licenses ICE is a leading user of that software and was earlier a long-time Tribon user. However, ICE is occasionally asked by clients to use other software, and ICE is in any case interested to stay abreast of what competing software houses are oﬀering. 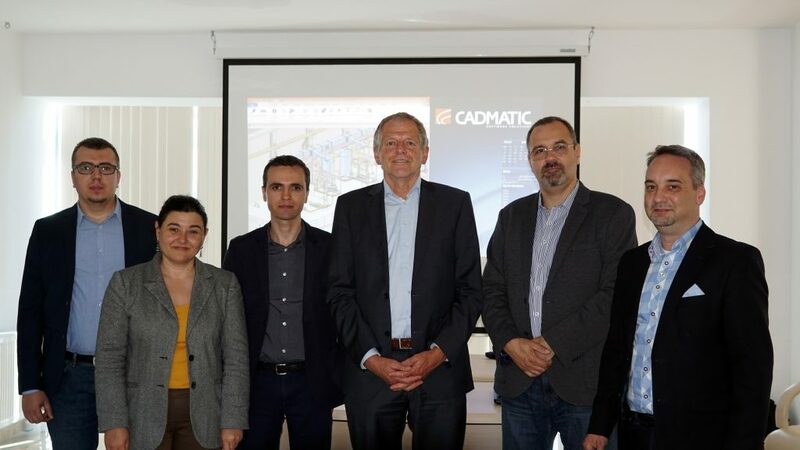 ICE was therefore happy to accept an invitation from Cadmatic to attend its ﬁrst seminar in Romania to make potential users aware of its latest developments. The picture shows ICE employees (from left to right: Catalin Axente, Software Developer, Steluta Dinu, Machinery & Piping Department Manager and Nicu Olaru, AVEVA Marine System Administrator), together with the Cadmatic representatives.